British Airways has welcomed the arrival of their first 787-9 Dreamliner. This time-lapse video takes you behind the scenes at Boeing’s factory where the aircraft is expertly built. In just a quick 4 minutes, the video shows us in ultra-fast fashion, the Dreamliner’s assembly from beginning to end. This video even demonstrates the massive undertaking to transport the wings and fuselage as they fly across the world in Boeing’s custom 747 Dreamlifter transport aircraft which is used exclusively for delivering 787 parts to Boeing’s assembly plants from suppliers across the world. The video ends with the aircraft being finished in the classic British Airways paint job. The Boeing 787-9 is a mid-size, dual aisle, twin engine jet and Boeing’s most fuel efficient aircraft to date – 20% more fuel efficient than the similar sized commercial jets it is designed to replace. Composite materials make up 50% of the primary structure, including the fuselage and wings. The windows are over 30% larger than those on most similarly sized aircraft and the brightness can be adjusted at the touch of a button. Serrated edges on the engine nacelles reduce the noise levels by up to 60% both in- and outside the cabin. 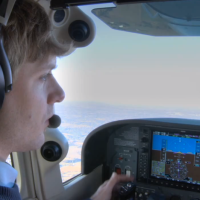 The aircraft also features raked wingtips to further improve fuel efficiency. 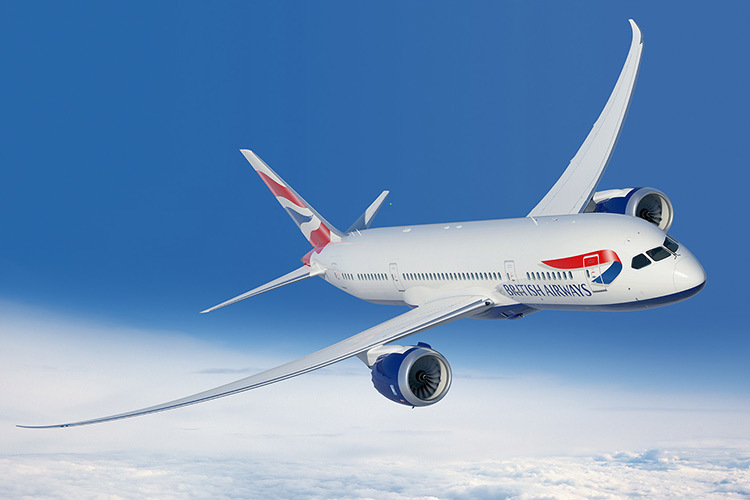 The Boeing 787-9 – the latest addition to the fleet – features an evolution of our First cabin, with just 8 seats compared to the usual 14, increased range and is 20 feet longer and four inches taller than the 787-8. The 787-9 will start flying to Delhi in October 2015, followed by Abu Dhabi, Muscat, Kuala Lumpur and Austin.